Climate Change and Russia: Will Russia become a World Granary? The International Food Policy Research Institute (IFPRI) presented in late November the scientific report "Food safety, agriculture and climate change by 2050: scenarios, forecasts and policy recommendations." The scientists conclude that Russia will suffer from the lack of adaptation of the agricultural sector to climate change. The studies were conducted over several years in Brazil, China, India, Indonesia, Russia, South Africa and the USA. The scientists analyzed data on extreme weather events, crop yield, demographic indicators, changes in greenhouse gas emissions and prices for major food products, economic indicators of the agricultural sector, and changes in gross domestic product of these states. For the first time in scientific practice, the food sector was considered in combination and as a source of greenhouse gas emissions, and as a field that carries losses from climate change. The scientists from several countries of the world note in his report that the first decade of the 21st century has brought the harbingers of serious problems for global food safety. The jump in prices in 2008 led to food riots and political changes in some countries. In 2010, excessive heat and drought in Russia led to fires and grain embargo. By 2050, world population will reach 9 billion, and economic development will lead to increased incomes in poor countries. Climate challenges will lead to increased demand for food and problems for sustainable agricultural production ... ". Analysis of data collected in the BRIC countries, Indonesia and the United States led a team of researchers to scientifically confirmed conclusion: climate change most directly influences agriculture and is one of the most serious risks to the welfare. Despite the differences in demographics and different baseline levels of food supply of the above countries, the trends in all countries were almost identical: more frequent cases of extreme weather events, changes in precipitation and temperature indicators lead to lower yields and lowering the role of the agricultural sector in GDP. This results in impoverishment of farmers and decline in living standards in the country as a whole. The report gives forecasts for the economic effect (rising prices for basic products), in dependence of the impact of various scenarios for climate change. Scientists have come to the conclusion that economic development, demographic changes and climate change in the complex between 2010 and 2050 will lead to price increases from 10.8% to 100.7% for such products as rice and corn. The researchers show the dependence - the more adaptation measures will be implemented in each country, the smaller is the expected rise in prices. Based on the obtained results, scientists advise policymakers on the need for urgent action on adaptation. According to the research by the International Food Policy Research Institute, food indicators for Russia are not very shocking against those for India and South Africa. However, the negative impact of climate change on agriculture can be no longer called a random phenomenon: losses in the agricultural sector previously observed mainly at the Stavropol and Krasnodar Territory, now spread to the central latitudes, the zone of Black Earth, the Russia's "breadbasket." Among other negative impacts of climate change, the scientists note changes in usual species composition - some traditional for the specific climate zones types of crops are on the verge of extinction. 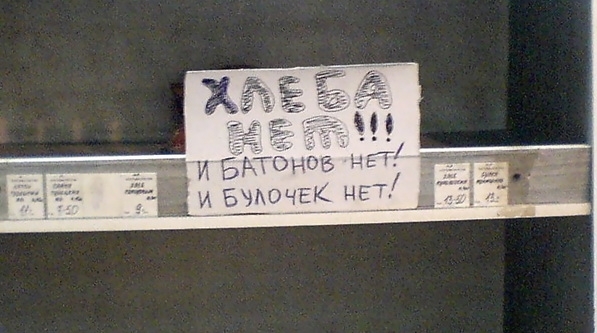 Russian federal authorities are slow to notice this problem. According to expert Roman Romashkin, who participated in the international food-climate studies (Department of Economics, Moscow State University), so far the most "klimate-aware" policy is in the regions: regional leaders who faced real problems began to form plans for their areas of adaptation to climate change. The folly of the Russian climate policy continues to beat all records - the longer the authorities in Russia are slow, the more the country loses. Already now, according to assessments, food imports make about 30% market share in Russia, whereas the threshold of food security is at the level below 25%. Perhaps, the Russian authorities are waiting for bananas growing on the Yamal Peninsula - scientists confirm that climate change shifts the yield zone to the north. However, Russia lacks the infrastructure in these areas. 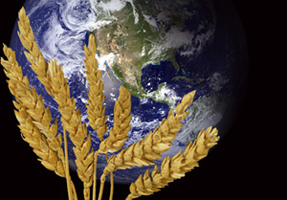 Our country is not ready to become a breadbasket of the world despite its vast expanses and natural diversity. Adaptation of the agricultural sector to climate change - the strengthening of infrastructure sectors and modernization - will help to maintain and encourage agricultural producers. How soon the federal government will realize that?